I’m going to have to check Amazon for this ~ I was just diagnosed with degenerative arthritis in my neck and I’ve not been having much comfort with the pillows I’ve tried so far. I’m only 44, and the doctor noted that this will only get worse as I age; I figure if I get things sorted out now as time passes it may not be as bad (or so I hope 🙂 ). I actually just ordered one because I have never been able to find the right pillow. I like it, but I don’t love it. It’s the right height that I have been looking for, but it’s a little too firm for me. Hopefully it breaks in a little and softens up otherwise hubby is getting it. I wake up with neck pain that I KNOW is from my terrible pillows! I will have to try this! So glad to see this post! I have been considering a MY PILLOW for ages but I mean come on how different can it be? I used to love my Bamboo pillow but now I am getting headaches like you were! I will go get myself one of these – THANK YOU for your take on it! I have seen the commercial and is being tempted to buy some for me and my husband. Thank you for sharing your experience. I have seen commercials for this pillow but was very skeptical about trying out. I am so glad that I read your post because now I an buy the pillow with some more hope. I have not seen commercials for this!! How crazy that you had to put it in the dryer to fluff up. That sounds like a wonderful pillow. I could use one that actually works for me. I have a hard time with most pillows because of the way I lay. I have seen the commercials and really wondered if this pillow was worth the price. Since you didn’t get paid to check this out it must be a good pillow. I should give these a try. I just bought a couple of pillows on Amazon and they are the best pillows I’ve ever used, so worth the money. If these are even better, I’d buy them. I am sooo picky about pillows, but I actually won some that I love! I have seen these advertised and have always wondered what real users thought! Thanks for sharing. Keep us updated. Glad you found something that worked for you. I’ll have to let a friend know, who gets headaches a lot. I’m also very picky about my pillows, but may have to give it a try as well. I have seen a lot of commercials for My Pillow but once I saw it in the store I was skeptical. Glad to hear it really works! 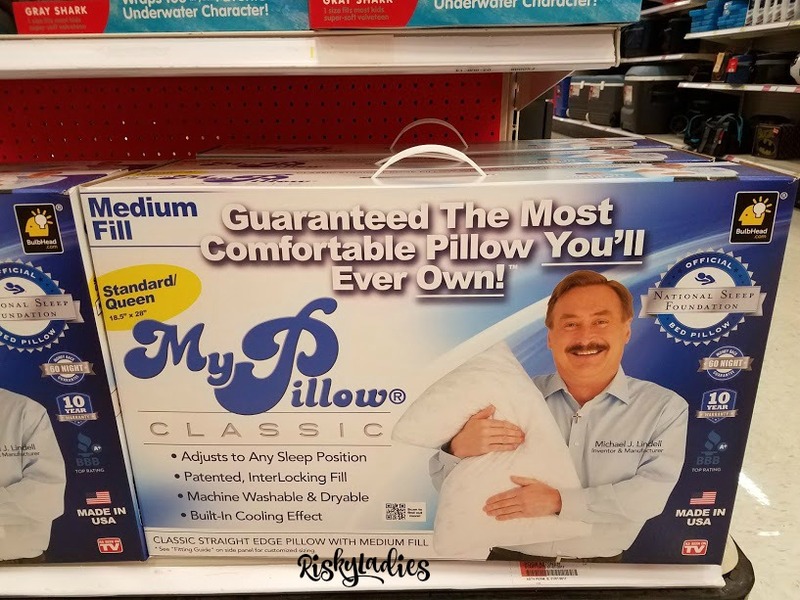 I have seen ads for the My Pillow and like you I thought it looked weird! I am glad to know that it really works!! 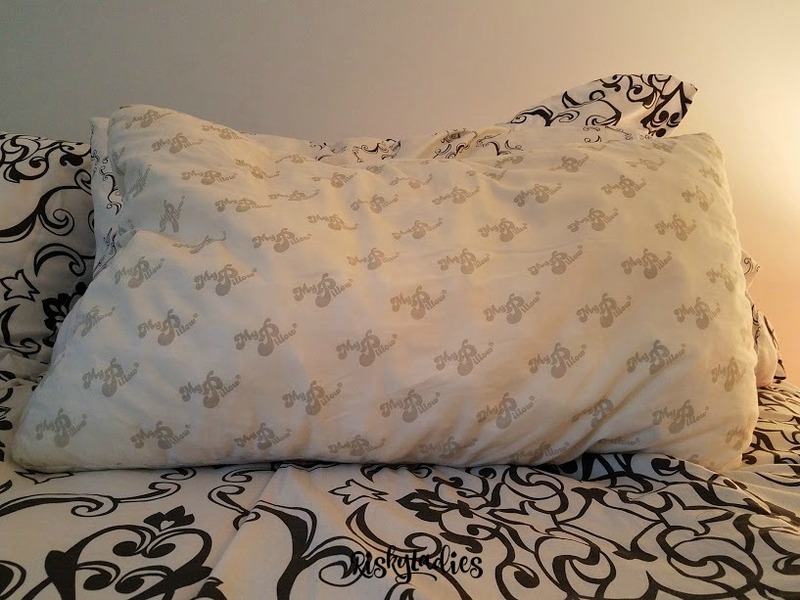 I am not picky with pillows, but my husband is! He can’t seem to find the right pillow to give him a comfortable restful sleep. Several purchase here and there eventually end up in our children’s bedrooms. I have to ask him to try My Pillow. Hopefully, this will work for him. Thanks for the review and I hope you feel better soon. This sounds like a great pillow. I am going to have to try it. Thanks for the review. This sounds like a great pillow and I’m glad that you were able to find relief by using it. I will have to get one for my husband, he has headaches as well. This is interesting. I haven’t heard of this one before. I am very sensitive to having very fluffy pillows as I have sinus issues all the time and need to be a bit elevated. I keep seeing this ad on TV. I wanted to give it a try but I am not ready yet to spend that amount of money for a pillow. I’ve never really suffered from neck pain, so I can only imagine but am sorry to hear that! Glad this pillow has been able to assist and give you fantastic nights!